I recently had my dog DNA tested through the Orivet kit. I was only sure of one breed in his mix and had no clue what the others could be. Turned out that one breed I was sure of wasn't identified but almost 40% came back as mixed breed unidentified. I was absolutely certain he was a Great Dane cross and it's thanks to him that I've fallen in love with the breed, but apparently he doesn't even have that as part of his mix. Instead he has Mastiff, Bull Terrier, Boxer and Irish Wolfhound, but the majority of his breed mix is unknown. Are there other tests that are more reliable than this one? I don't need any genetic testing to uncover possible health problems because he's already at least 13yo, probably more (we got him Feb 2017 and he was already an adult, estimated to be 2yo). none of them are, some people have deliberately tested their pedigree purebred and all came back as x breds. embark is probably the most accurate of them, with the added bonus that you can re-run your dog/s for free and for as many times as you want as the database grows and expands! I have run Thistle's twice now. Thyme is purebred so no need on that. It does cost more than most, but if you keep an eye out you can get lots of discounts on it. and if you are really lucky and someone has tested a relative, they will show up! I have done both my dogs. Thistle's breakdown and re-run didn't bring many surprises (heinz 57 haha!) and she has a full sister! I got very excited, because I had been wondering about relations ever since I saw the other dog show up on embark coming from same area, similar ages, similar breed make up, similar looks. So lucky! Lots of fun, and you might help contribute to some research dogs on embark have helped identify one of the gene mutations for blue eyes! There's lots of surveys you can fill out if you want to help with that, and you can opt in to be sent additional research surveys. Not saying the tests are accurate, but some purebred dogs are crosses if you go back to the mid 20th century. 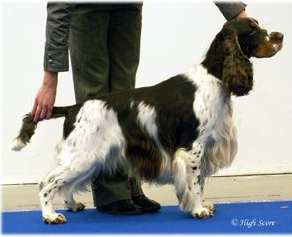 Mary Roslin Williams comments extensively about hound blood in Labrador lines, and notes that on some estates, dogs of different breeds were run together and often it was unclear who sired which litter. Bull Arab types like your dog often superficially resemble Great Danes, for much the same reason that a dolphin resembles a shark, without any direct familial connection. It is the ideal shape for their purpose (boar hunting). Some Bull Arab types do have Great Dane in their mix and some do not and you will often find that they look very much alike whether or not they have GD ancestry. I would not stress about his mix You love him and you have come to love a breed that he resembles. I'm assuming that your stated age of 13 years is a typo, very large breeds do not often live that long as their hearts wear out earlier. So he is 3yo approximately? I second the embark test, not so much for breed ID, but because it will pick up on any future health problems and because very large dogs cost more to medicate etc. it is wise to be forewarned.The expense of the embark test is worth it. I'm assuming that your stated age of 13 years is a typo, very large breeds do not often live that long as their hearts wear out earlier. So he is 3yo approximately? I made a typo alright but not with the 13. We adopted him on 17 Feb 2007, so he's been with us just short of 11 years. He was a fully grown adult when we adopted him time. I know very large breeds don't tend to live very long but he's not huge, roughly 3/4 the size of a proper Dane I feel very blessed to have had him so long and part of my wondering what else was in him was finding the explanation for him living so long, that there had to be a much longer living breed in the mix. He is very grey these days, and can only do short walks, but he still has that special something that made me fall in love with him the moment I saw him. He has the most gentle, loving, happy nature but not terribly bright. For some reason I find that very endearing. Do you know for sure he really is part Great Dane? What I'm saying is, while some DNA tests can't be taken as gospel (especially where some labs databases are still growing), I believe you'll get a more accurate breed indication from them than just visually guessing what your dog is made of. I had my mix breed dog DNA tested through Orivet a few years ago, I personally found the results very believable, and while they were close, the shelter I got him from were incorrect from their visual assumption of his breed mix. Having said that, if you do another test through another lab it would be very interesting to see how the results compare. As an ex rescue it's impossible to know for certain what was in him but he was listed as a Great Dane cross and he definitely appeared to be a cross with one and when I started to read up about the breed he shared a lot of personality characteristics with one. I just find it hard to believe there isn't some in there. Kind of like when a person has a black and a white twin without knowing that there was a long lost relative who was white/black. Yesterday I ordered the Embark test. I probably won't get that until early next year now that Christmas is so close, and then the weeks waiting for results. I'm attaching a pic of him in his prime, very soon after he was adopted. He's very clearly not a 'real' Dane but he just has to have some in there. From certain angles and with certain facial expressions he is strikingly like a Dane. Other angles and expressions, not so much though. 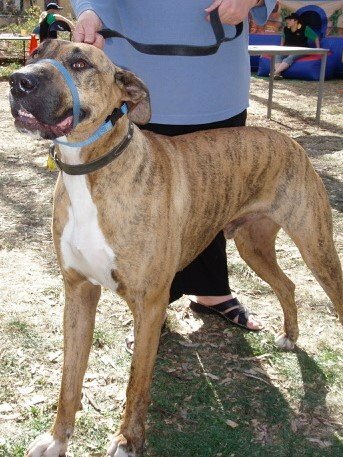 Whilst he does look like he may have dane in that mix, he looks very bull arab, sighthound too i suspect. Hey TTD, I see that Thyme tested at/at on his A locus, I don't see any actual points on him though, did you happen to ask Embark about this at all? I know there are some breeds that the Agouti locus is not reliably tested. Did he have any tricolour/tan point siblings in his litter at all, or parents pointed? @t a i l s.
I did wonder about it, but don't know enough about at/at to ask and also didn't ask as the embark conversation was more around how genetically different he is to the american ESS database and what this means for genetic diversity within the ESS breed. I also feel validated because he doesn't shed a huge amount. He is TT for shedding. I knew I wasn't imagining it! I like sticky beaking on other dogs traits There's a working line ESS in america who is carrying the rear dew claws trait! I didn't realise this could happen in ESS, I wonder what other traits that don't really get mentioned might be hovering away in the background. Oooh! Cool! haha, so it would appear it's worth the money. So I presume that at least his parents are carriers of one 'at' on a locus. I only ask because I have a black and tan dog, of a breed that it doesn't occur in very often, in fact only one other in the country and my dogs heritage doesn't have any visual at representatives in it for as long as the pedigree is traced back. Unfortunately he passed on before we got the results. I've been struggling with his loss and although we loved him irrespective of his breed mix it is nice to have got the news that he really was a great dane mix. So sorry you lost him. I would say he was a typical Bull Arab , i have fostered a few and when they don't make the grade as hunters they are the most loveable adorable dogs. They can be a mix of Dane, Pointer, Greyhound/Wolfhound, Bull Terrier, and sometimes other breeds. I second what Juice said, the Bullarabs that I have fostered were so lovable. Thanks for posting the Embark results, it's interesting to see the comparison. Aww I am so sorry that he has passed away. He was clearly a very handsome dog. His face promised lots of fun times.